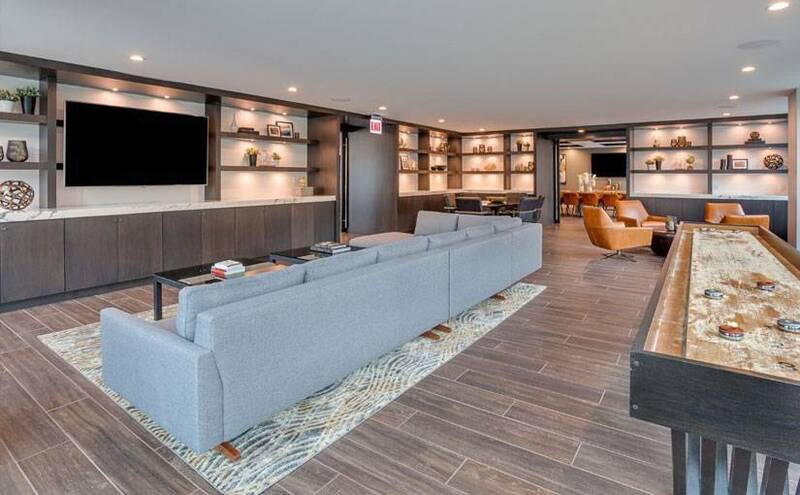 If you’ve ever searched for apartment rentals in Chicago, then you know just how overwhelming it can be. There are so many factors to consider. From location to size to style, finding that perfect abode that ticks everything off of your wish list is no easy feat. Besides the home itself, it’s also important to consider the amenities. Convenience and quality are key. 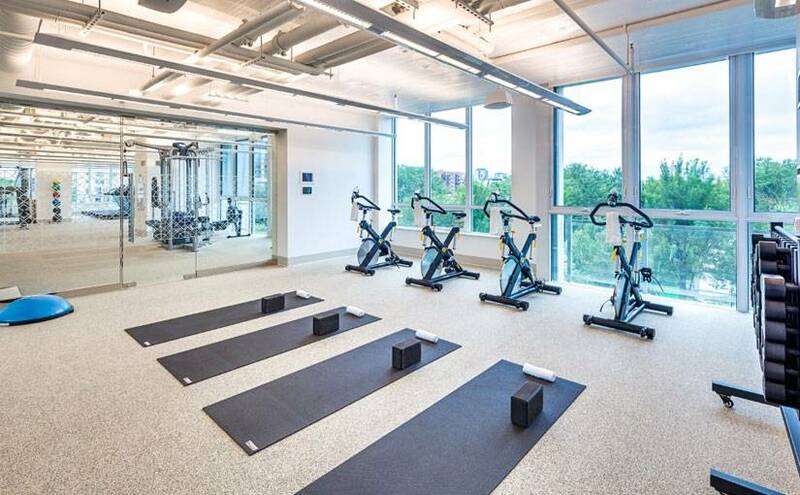 How much easier would it be to hop in the elevator and arrive at a state-of-the-art fitness center, versus driving 15 minutes (and then trying to find a parking spot)? Your summer days are best spent poolside! With an expansive sundeck, kick back in a cabana or lounge chair while taking in those coveted views of the Chicago skyline. Now that fall and winter are headed our way, warm-up in the hot tub, as it’s always a great way to relax and ease muscle tension. 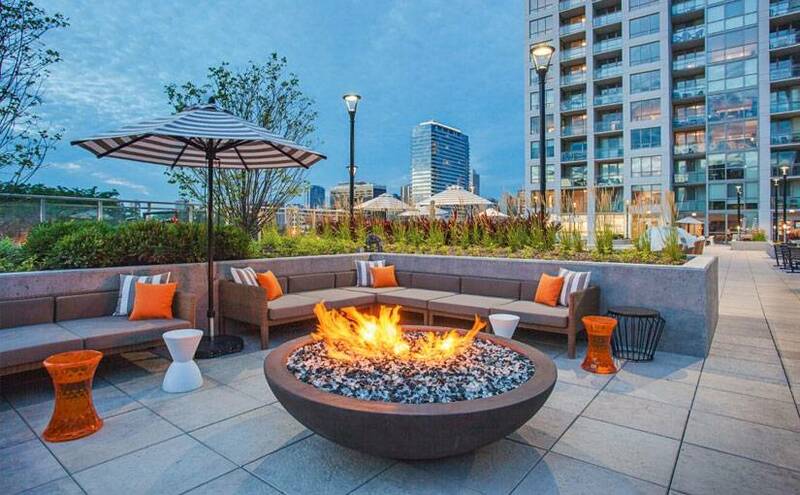 Speaking of cooler temperatures, our outdoor fire pits are also popular with residents. With a wool blanket and hot chocolate in tow, there’s nothing better than seeing the city at night while cozying up with that special someone. Do you love to entertain? Come spring and summer, you’ll have full access to our outdoor kitchens with private dining spaces. Throwing a big soiree for a friend, or hosting games night? You can do both in our lounge, which is complete with a shuffleboard, a chef’s catering kitchen, and a long farmhouse table. 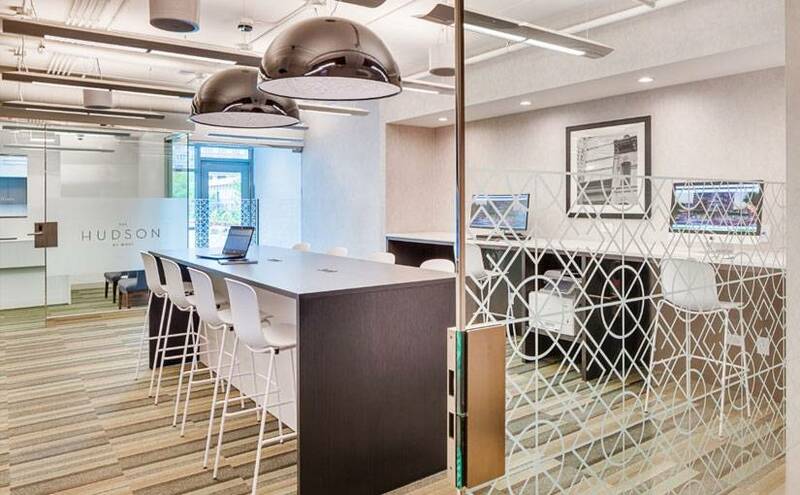 Impress your clients in any of our various meeting rooms. We’ve also included television screens for presentations, as well as Mac and PC’s incase you need a quiet workspace. Ready to sweat? You’ll have everything you need at our professional equipped fitness facility. Choose from cardio, strength, free weights, and even a towel service (yes, we really have thought of everything). We’ve even added a separate yoga room, which can also be used for spin or group classes. The dry-sauna is ideal for a post-workout wind down — you’ve earned it. 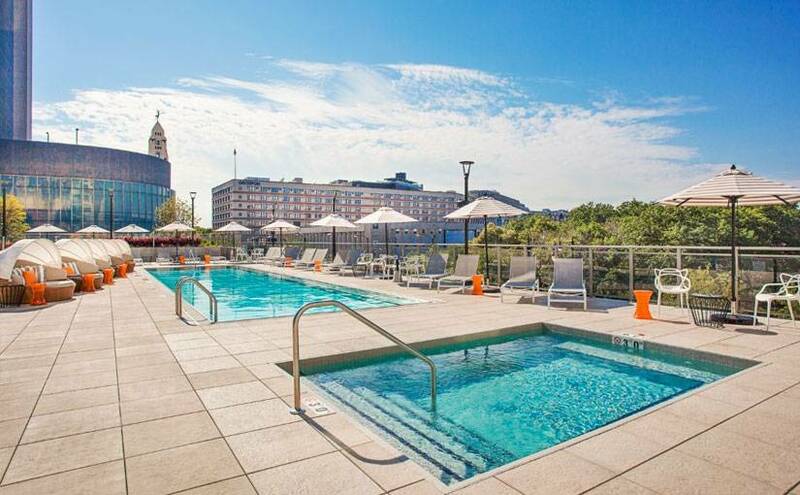 Want to learn more about our amenities? Visit our website for a full in-depth look. For a limited time, we’re providing a special move-in offer. If you lease before October 31st, you’ll receive 2 months of FREE RENT! To learn more, contact our team today, as our luxury apartments are going quickly.